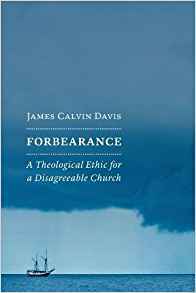 The practice of forbearance, Davis argues, offers Christians a dignified, graceful, and constructive way to deal with conflict. Forbearance can also strengthen the church’s public witness, offering an antidote to the pervasive divisiveness present in contemporary culture. Buy now from Amazon or wherever books are sold. From “the big four” (abortion, homosexuality, euthanasia, and stem-cell research) to war, poverty, and the environment, this timely book considers religion’s impact on moral debates in America’s past and present. James Calvin Davis argues for religion’s potential to enrich both the content and the civility of public conversation. This book will interest all concerned citizens yearning for more careful thinking about the role of religion in public debate. Roger Williams, New England troublemaker and founder of Rhode Island, is seldom included among the great figures in American Reformed theology. Yet Williams’s arguments for religious liberty were deeply rooted in Puritan Calvinism. This book explores the “moral theology” that informed Williams’s spirited defense of toleration, demonstrating how Reformed theology in Williams’s hands allowed him to defend the integrity of religious convictions while also making the case for conversation and cooperation with moral citizens outside his circle of faith.